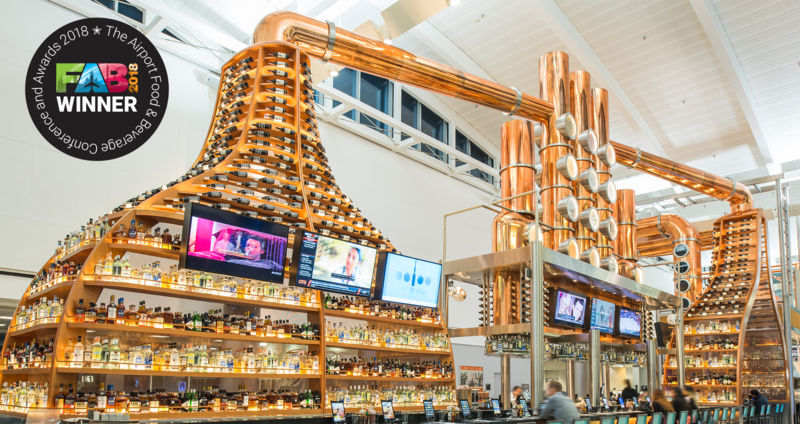 I’ve noticed an interesting trend popping up in airports during my travels: an increase in restaurants and bars serving craft and specialty cocktails. Why have they become so popular? I’m a fan of fine wines, but there are still people who are intimidated by choosing them. Cocktails are simpler, with a list of ingredients that are familiar and choosing one is not so scary.As the general population and travelers in particular have become more sophisticated when it comes to spirits, more are flocking to craft cocktails. Craft spirits are distinct products with great stories about how they were developed, allowing us to make a connection to a brand. A great example of that is Tito’s Vodka, which began as a Texas-based craft spirit and now enjoys global popularity and is even served aboard American Airlines and United Airlines flights. OTG is putting its own twist on craft cocktails this summer at some of its airport restaurants via a program that’s a mix of classic and specialty cocktails. Those classics include drinks like the Margarita, Martini, Negroni, Manhattan and Moscow Mule that follow industry-standard recipes using upgraded spirits and ingredients. OTG takes it a step further by creating four to eight specialty cocktails at select restaurants in the 10 airports it serves to complement the overall concept and style. So if you’re eating at Vida Taqueria in Terminal C at George Bush Intercontinental Airport, the offerings focus on cocktails that feature tequila and mezcal as the main spirit ingredient. Food and cocktails have something in common: The quality and taste of the ingredients used to make them. One hallmark of craft cocktails is using specialty spirits to create them. OTG has worked to curate and offer the finest brands, including Casa Noble Reposado, Prairie cucumber vodka, Del Maguey VIDA mezcal and Amaro Montenegro. For margarita lovers like me, if you make the same drink using five different styles of tequila, you will get five different taste profiles. If you’re traveling through Delta Air Lines’ Terminal C at LaGuardia Airport, Prime Tavern has a lovely summer craft cocktail list. One of my favorites is the Cucumber Basil Gimlet made with Prairie Cucumber Vodka, an organic, hand-crafted spirit with a nice, but not overpowering cucumber flavor (read my post on that here). 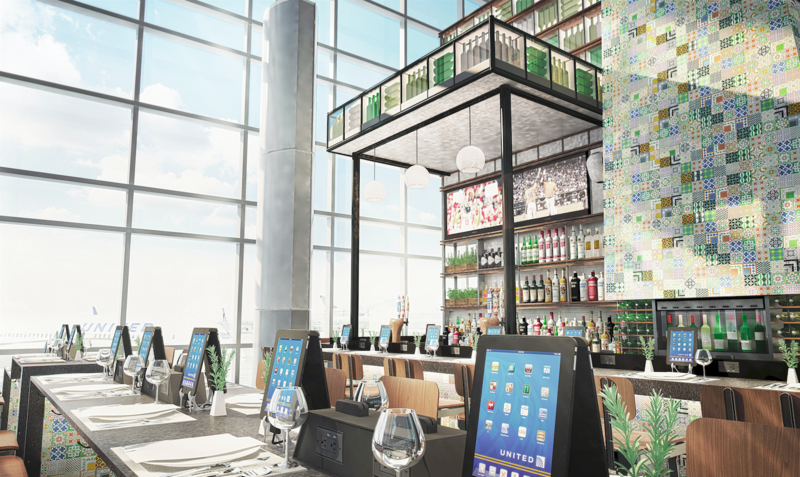 Another popular trend is Aperol, and OTG is bringing an Aperol Spritz bar to JetBlue’s flagship Terminal 5 at JFK Airport. Aperol, Campari and other aperitif-style spirits, already popular in Europe, are now being enjoyed more in the United States. For those who want to have a lighter drink before or after a flight, the Aperol Spritz is perfect because it also feels like summer, the beach and a vacation all in one. So what better way to highlight that than through a fun Spritz Bar where travelers can build their own cocktail based on flavor preferences? Travelers start with a base of Aperol, Prosecco and club soda. They can then customize their garnishes and specialty ingredients, choosing from items like fresh grapefruit, strawberries, raspberries, oranges, cucumber, basil and mint. The bar is laid out with signage and ingredients and sample cups are ready for guests to build their own Spritz. An Aperol brand ambassador will also be there to educate and guide those who wish to partake. OTG is serious about giving travelers the latest and greatest in food and drinks, rotating seasonal cocktails twice a year – spring/summer and fall/winter. And there’s always a holiday-themed cocktail that’s served between Thanksgiving and New Years. The message is clear: OTG doesn’t want passengers to have limited food and beverage offerings just because they’re at an airport. 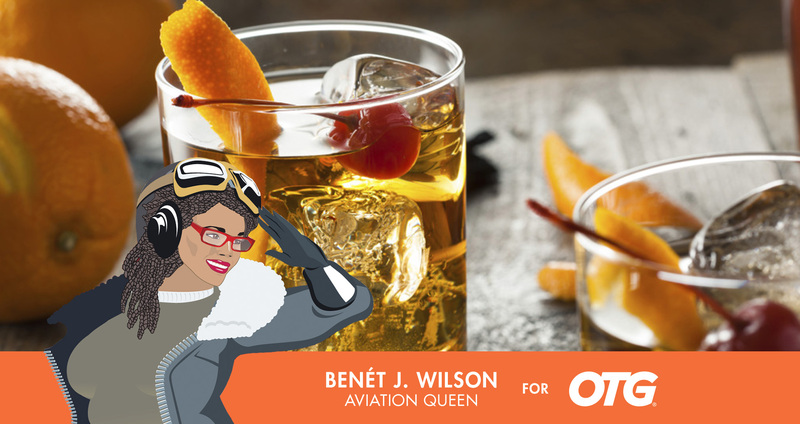 So next time you’re traveling through one of OTG’s airports, check out its elevated cocktail program and indulge! Last week the travel hospitality industry descended upon Helsinki, Finland for the annual Moodie Davitt Report Food and Beverage (FAB) Awards.